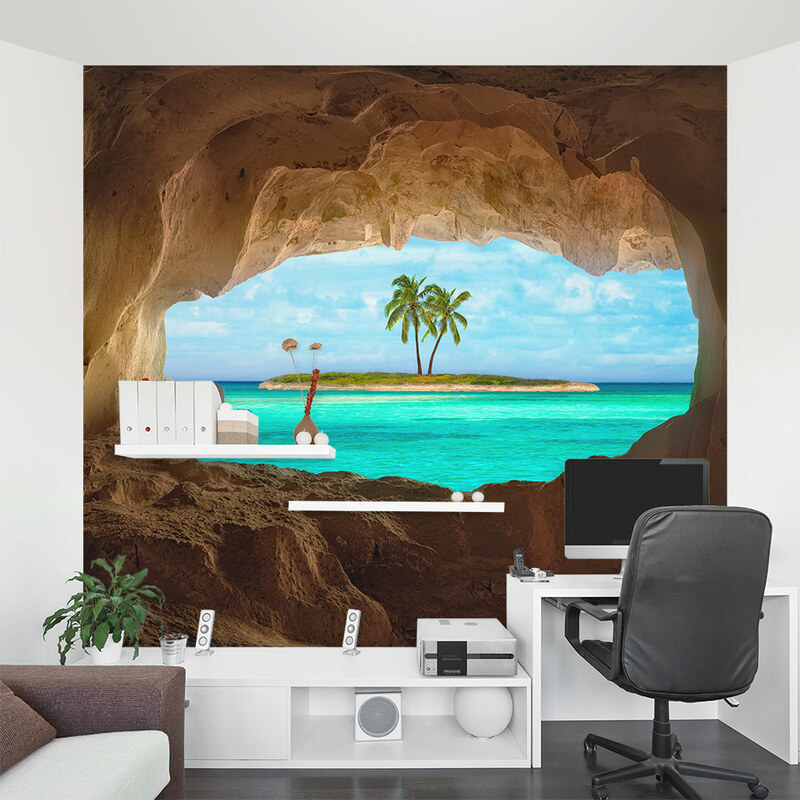 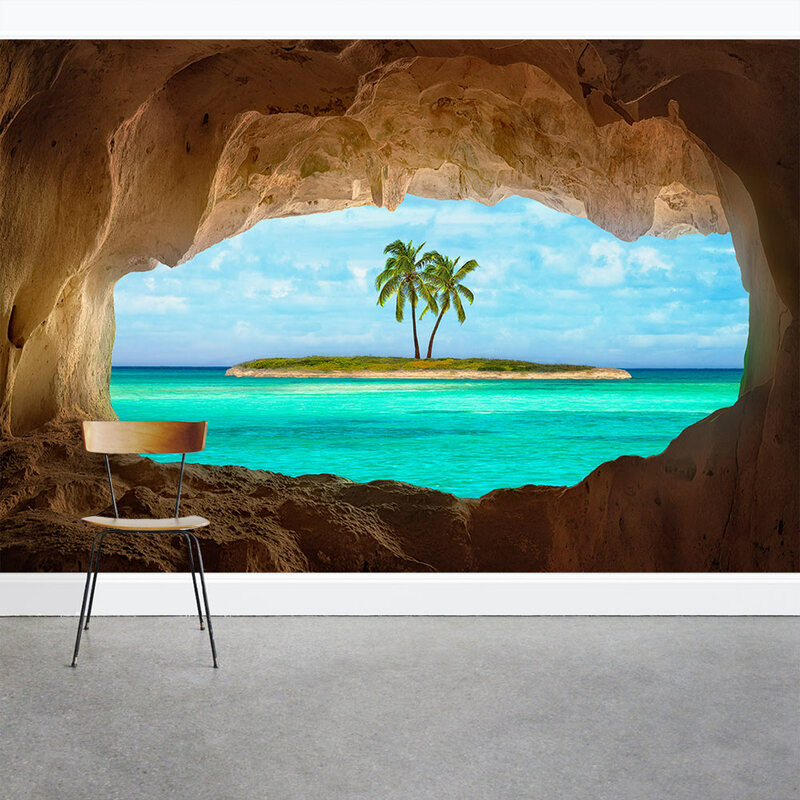 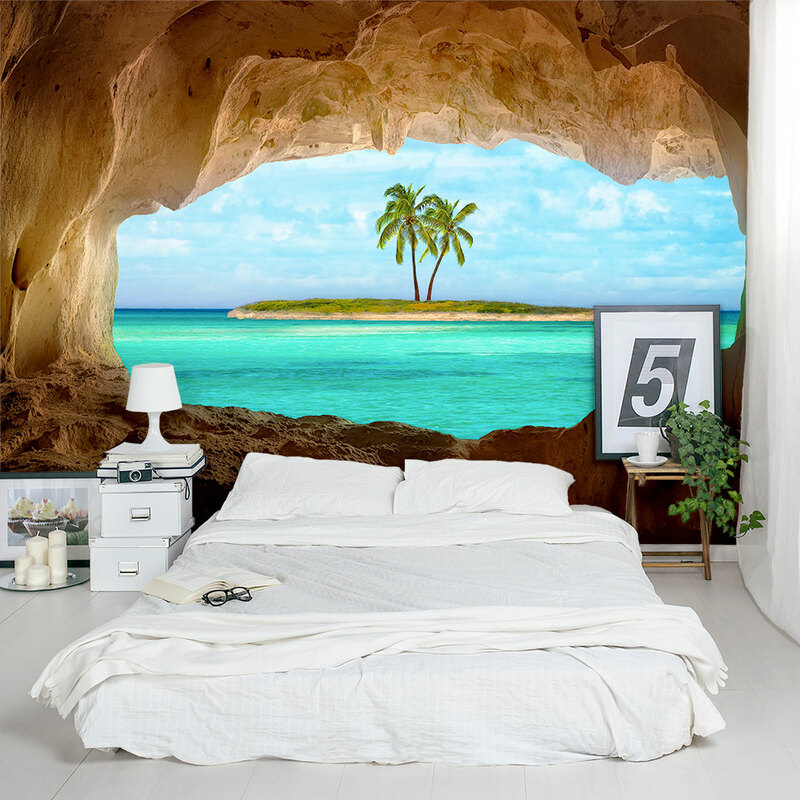 From the depths of your personal dwelling cave you relish the view of a lone island out in the distance. Great for an accent wall or the entire room. These removable and re-positionable mural panels are an easy way to decorate any wall in your home, nursery or office.